Mozilla Firefox is a well known browser. To compete with Internet Explorer’s dominance, Google Chrome and Safari increasing popularity FireFox4 (beta version) has come up with biggest changes. These changes include HTML5 support, speed enhancements, new UI , faster script rendering, FireFox Panorma etc. But you may find it more difficult to work on newer version of FireFox. Here is the brief information about new FireFox4 tweaks. 1. Performance tweaks This tweak will improve the browser speed. You just need to type “about:config” (without quotes) in the address bar and then press I’ll be careful, I promise button. Now in the filter field type and set each value one by one. You will see the corresponding values appearing below, double clicking on them will set them as true or false and if it has a value to be set, a popup window will appear where you can enter the value for the field. If any of the above value doesn’t appear, then follow the steps below. For setting true or false value just right click on an empty space and select Boolean from New. Type content.notify.ontimer in the box and set its value to true. 2. Addons which makes browsing faster. 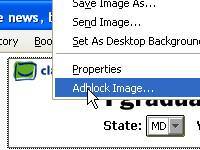 A new extension is introduced “AdBlock Plus” which will block the advertisements you see on various websites. 3. Tabbed Browsing This feature allows users to open up a link as a new tab within their current Firefox window. This feature has many benefits including faster loadup time, lesser system memory usage, switching back and forth,and many more. You can use custom tab switching for your tabs. By default it is disabled but you can enable enhanced tab switching. Several tab management features has been added switch to Tab, App Tabs and Panorama. 4. Full Page Zooming Now you can zoom in and out all elements of a web page. In case you just want to zoom in or out of the text only, then select the ‘Zoom Text Only’ item under the View>Zoom option. You can even use CTRL and mouse scroll up for Zoom in and out. You can customize zooming using the browser.zoom.siteSpecific, zoom.maxPercent, and zoom.minPercent preferences. 5. Faster Searching Firefox provides you several ways of searching like Keyboard Shortcuts, Search for text when I start typing, Selection Web Search, Open Link, Web Search Box and Address Bar/Keyword Search. 6. Customizing Interface You get several options to customize your interface. You can rearrange buttons (including FireFox, Refresh, Stop Button, Open a New Tab (+) Button) and toolbars(including Menu Bar, Tab Bar, Add-on Bar ) and Activity Indicator.